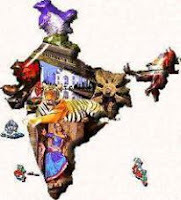 India GK Question Sample Paper 33: India General Knowledge (GK) Sample Question Paper No. 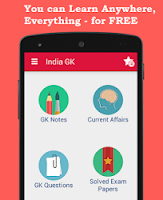 33 with Collection of India GK Questions under GK Quiz in PDF @ India GK Sample Papers. Q436. 'Hori', a poor farmer, is the main character of which famous Hindi novel by Munshi Premchand ? Q.437 Which among the following instrument is used for measuring wind speed ? Q438. Which strait connects the Pacific Ocean to the Atlantic Ocean ? Q439. Which national film award is given to the 'Best Feature Film on National Integration' ? Q.440 Every year on Kartik Purnima, which town hosts India's biggest camel fair ? Q441. Which city hosted the first Asian Games in 1951 ? Q442. At which session was the Indian National Congress (INC) divided into two groups - 'Naram Dal' (the moderates) and 'Garam Dal' (the extremists) ? Q443. Kaziranga National Park, famous for hosting two-thirds of world's Indian Rhinoceroses (Great One-horned Rhinoceroses), is located in which Indian state ? Q444. 'Playground of Europe' is the nickname of which European country ? Q.445 Microsoft in the month of January 2013 announced plans to shut down which service?